Over her long career, Madonna has been a genius at reinventing herself. Take a look back at how her style has evolved over the years, starting with this shot of her as she was first emerging on the music scene in New York in December 1982. During the first MTV Video Music Awards in 1984, Madonna set the bar with her performance of "Like a Virgin" wearing a low-cut wedding gown. The "Material Girl" performs to a sold-out crowd during the Live Aid concert in Philadelphia on July 13, 1985. Ever a fan of the bustier, Madonna struts her stuff during the 1987 "Who's That Girl" tour. Then-husband Sean Penn shields Madonna from the paparazzi during a lunch break in New York City on August 13, 1986. Madonna and director James Foley work on the set of "Who's That Girl" on November 24, 1987, in Los Angeles. Back to the bustier: Madonna and her backup dancers perform in Los Angeles in September 1989. The Blond Ambition Tour took Madonna to Tokyo on April 4, 1990. Madonna "strikes a pose" during her performance of "Vogue" on the MTV Video Music Awards in September 1990. Younger brother Christopher Ciccone, left, Madonna and director Alek Keshishian attend the "Truth or Dare" premiere in Los Angeles on May 6, 1991. Madonna evokes old-school Hollywood glamor in a publicity still for "Bedtime Stories" in 1994. A pregnant Madonna takes a walk on September 25, 1996. Madonna attends the "Evita" premiere in Los Angeles on December 14, 1996. Then-husband Guy Ritchie and Madonna attend the launch party for "The 72 Names of God," a book by Rabbi Yehuda Berg, the co-director of The Kabbalah Center, at the New Museum for Contemporary Art in New York on April 24, 2003. Madonna's interest in Kabbalah, a mystic branch of Judaism, was widely discussed at this time. Pregnant with her second child, Rocco, Madonna walks to her car on August 11, 2000, in Hollywood Hills, California. Performing during the "Sticky & Sweet" tour, Madonna sings onstage at the MGM Grand Garden Arena in Las Vegas on November 9, 2008. Madonna attends the "Alexander McQueen: Savage Beauty" Costume Institute Gala at The Metropolitan Museum of Art i New York on May 2, 2011. LMFAO and Madonna take the field during the halftime show of Super Bowl XLVI in Indianapolis, Indiana, on February 5, 2012. Madonna performs during the "MDNA" tour at Madison Square Garden in New York on November 12, 2012. 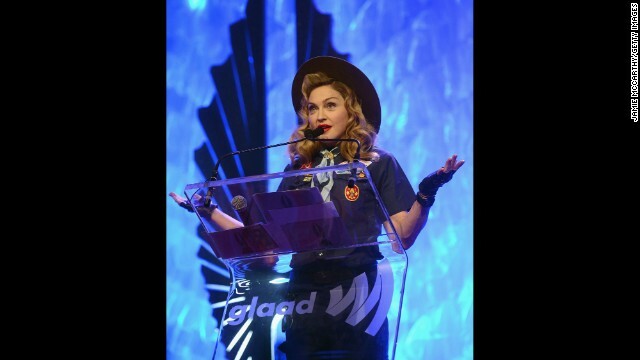 Madonna speaks onstage at the 24th Annual GLAAD Media Awards in New York on March 16, 2013. Madonna attends the Costume Institute Gala for the "PUNK: Chaos to Couture" exhibition at the Metropolitan Museum of Art ijn New York on May 6. Madonna accepts the award for Touring Artist of the Year onstage during the 2013 Billboard Music Awards at the MGM Grand Garden Arena in Las Vegas on May 19. Madonna made six songs from her upcoming album "Rebel Heart" available on Saturday, December 20, after part of the album was leaked online. (CNN) -- It's an early Christmas for Madonna fans. The singer didn't plan on releasing her new album "Rebel Heart" anytime soon, but that all changed after unfinished versions of her newest songs found their way on the Internet. Early mixes from the Queen of Pop's 13th album had been leaked, and longtime manager Guy Oseary asked the public to help find those responsible. 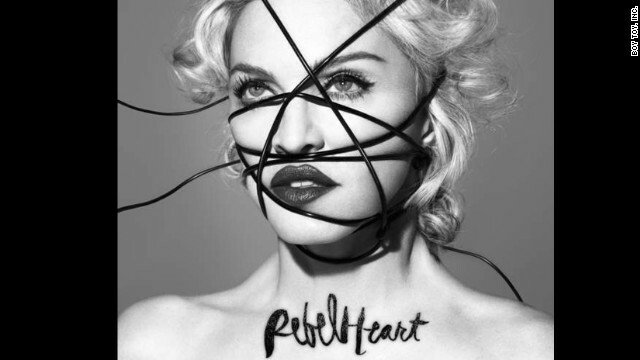 Madonna fired back by officially releasing six new tracks Saturday morning, which are now up for sale on iTunes. In a tweet, the singer wrote, "Happy early X-Mas!" and linked to where people go could to purchase her new songs. The tracks available immediately for download include "Living for Love," an upbeat anthem, "Devil Pray," a haunting composition, "Ghosttown," an emotional mantra, "Illuminati," an electronic orchestra of melodies, as well as two other songs. Madonna took to Instagram this past week, thanking fans for not listening to the tracks floating around online. "Thank you for not listening! Thank you for your loyalty! Thank you for waiting and if you have heard please know they are unfinished demos stolen long ago and not ready to be presented to the world," she wrote in her post. Earlier this month, the singer posted a photo of her smashed iPod on Instagram after discovering the leak of her track "Rebel Heart." In her post she wrote, "This broken ipod is a symbol of my broken heart! That my music has been stolen and leaked! I have been violated as a human and an artist!" 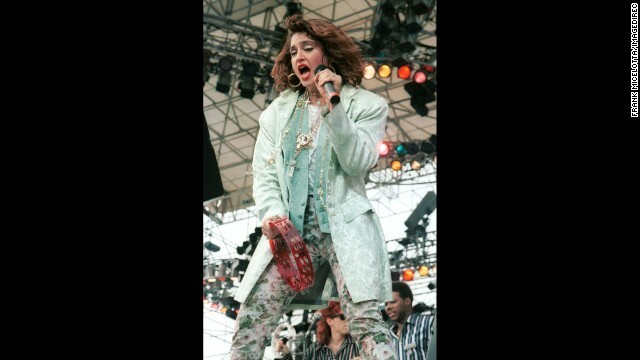 Leaks have tormented Madonna in the past. In 2003, the singer's website was defaced and every song off her "American Life" album was leaked online. Rolling Stone reported that Madonna had wanted her newest single, "Living for Love," to be released on Valentine's Day, with the rest of the album coming out in spring.